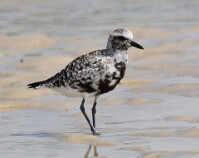 Largest Plover in North America at 11.5 inches. Is sturdy; note color/markings on photos and size/shape of bill. When in flight, look for its black "armpits". 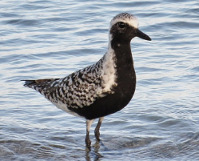 Winters along U.S. coasts; nests in very northern parts of Canada and Alaska. 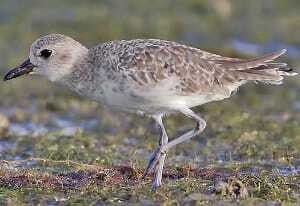 As with many shorebirds, a few spend the summer in our area.